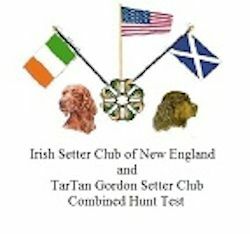 The Irish Setter Club of New England will run a Hunt Test on the same dates at the same location. Run 4 legs, a Double/Double Header Event! In 1 Weekend in 1 Location! TTGSC and ISCNE Thank you for Supporting Their Events! !